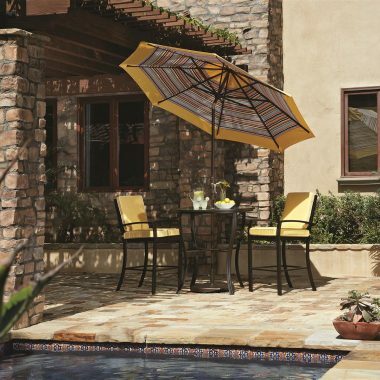 Treasure Garden, our outdoor umbrella supplier, has always been at the forefront of umbrella technology and design. 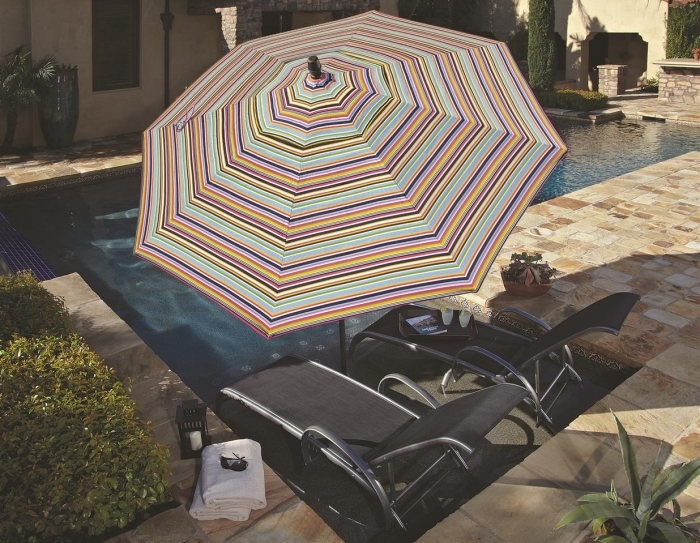 We have been in this business a long time and have not found a manufacturer with higher quality, more beautiful outdoor patio umbrellas that are functional and easy to operate. 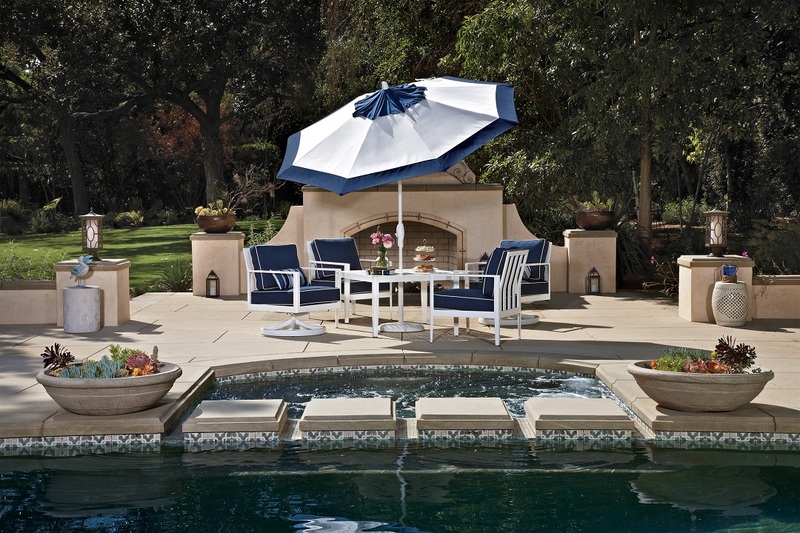 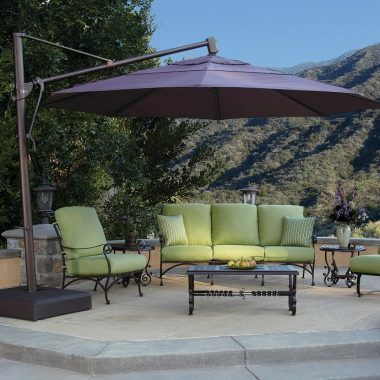 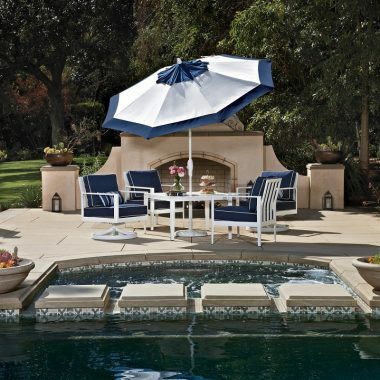 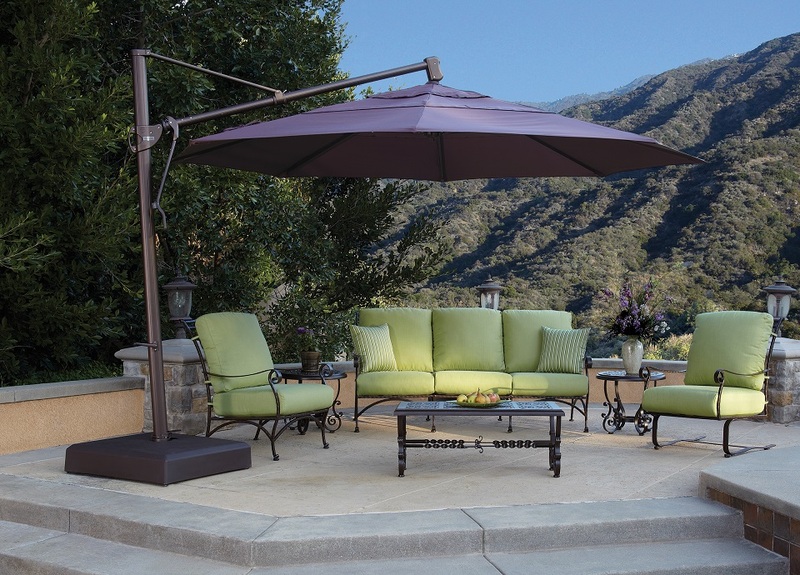 Hang out on your patio furniture and protect yourself, family, and friends from the heat and harmful rays with one of our gorgeous umbrellas. 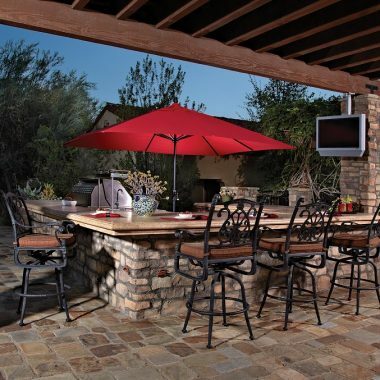 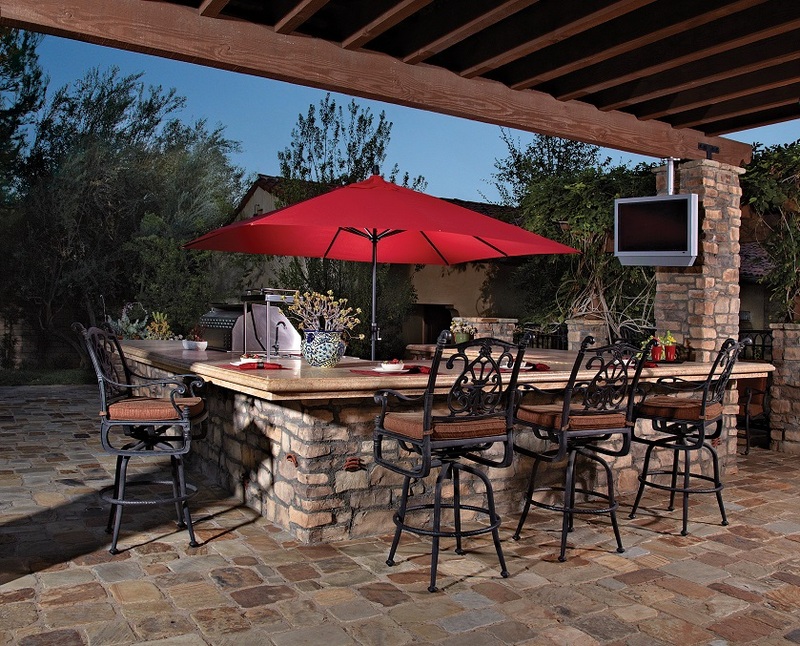 Did you know that the right amount of shade over your casual deep seating and other patio furniture can lower temperatures up to 20%? 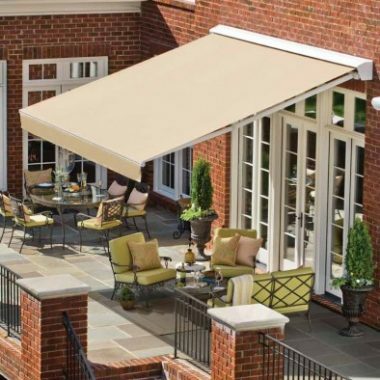 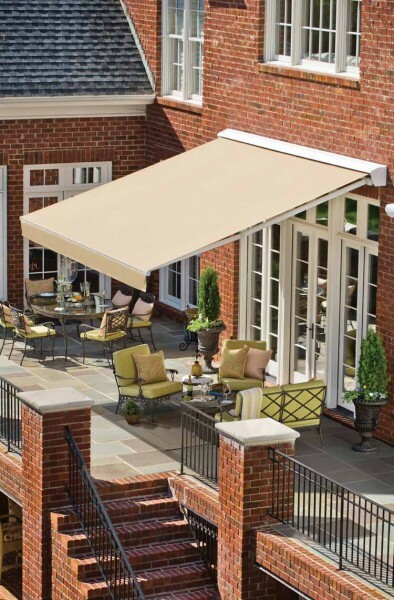 For our shade guide, click here. 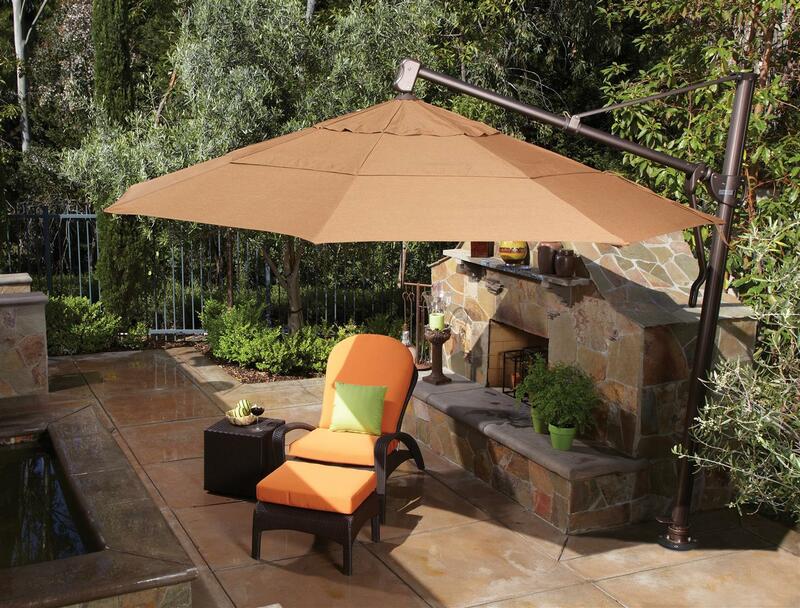 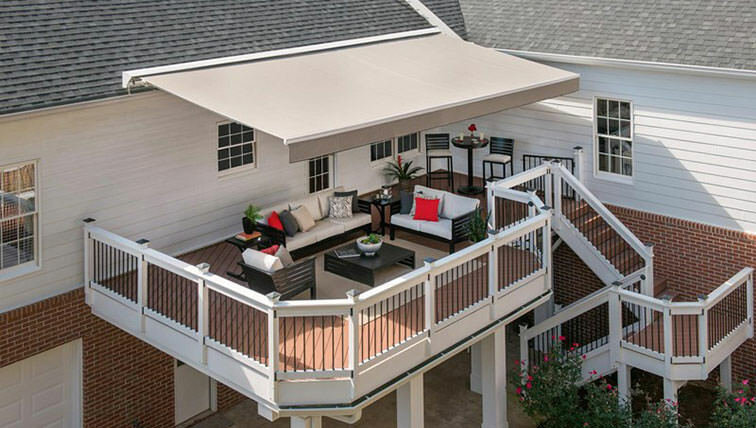 Available in 13’ or 11’, our cantilever shade umbrellas are not only functional, but incredibly eye-catching. 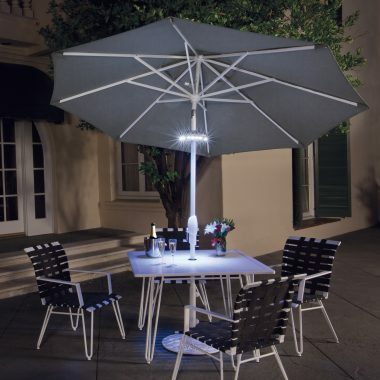 A freestanding pole attached to the top of the umbrella creates a unique look with the umbrella hanging and providing the perfect amount of shade for you and your guests. 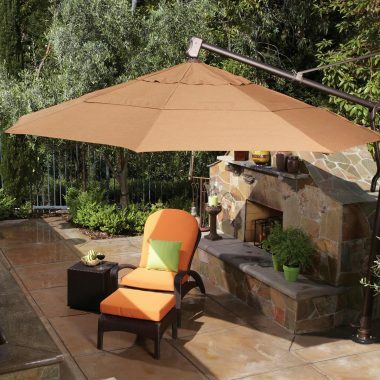 The collar tilt umbrella, available in 11’ or 9’, is perfect for those of us who have struggled reaching up to the top of an umbrella to tilt it. 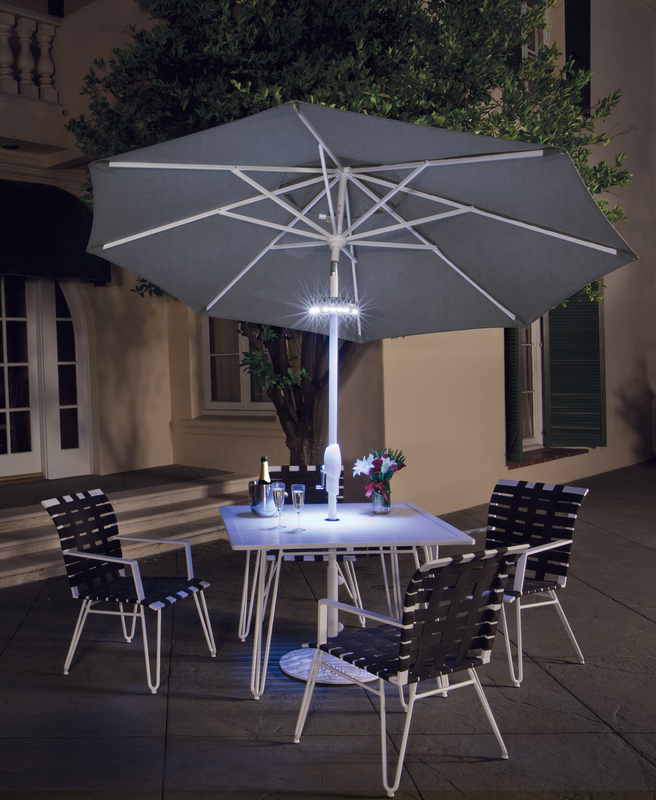 With the collar tilt umbrella, there is a button near the crank that allows you to tilt it without having to struggle. 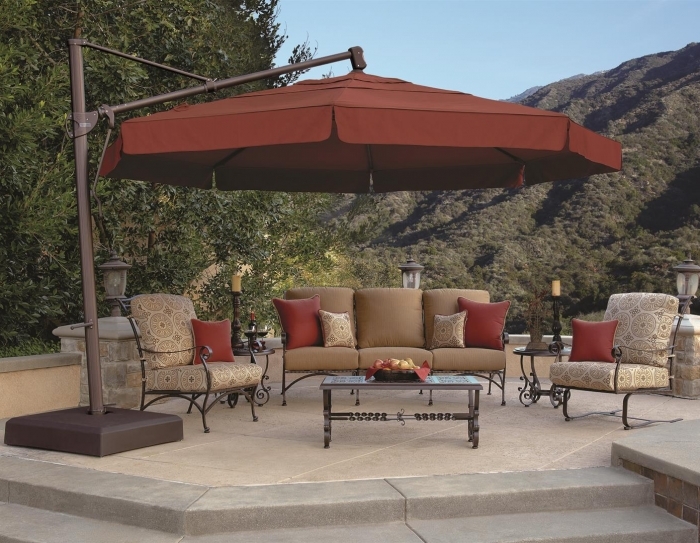 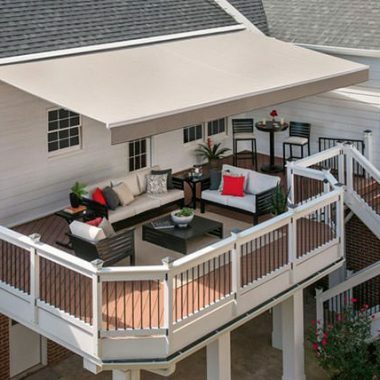 Perhaps the most traditional, our market shade umbrellas are available in aluminum or wood and with various mechanisms, including cranks and collar tilts. 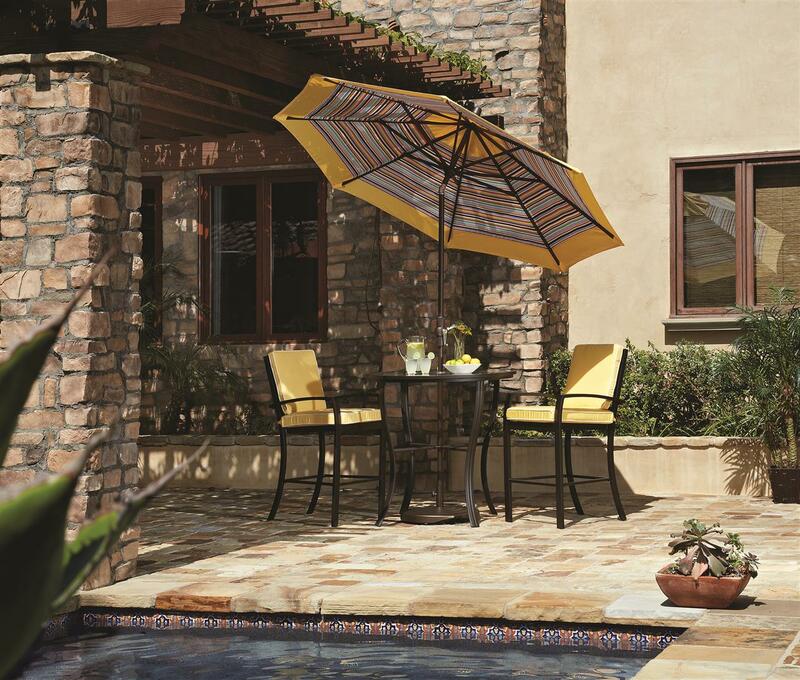 The shade has never felt so good!